The lungfish of South Africa is an extraordinary creature with some remarkable abilities. While the lungfish has gills like any other fish, it can also breathe air through its mouth, where it's processed by a modified swim bladder that works like a lung. Hello friends, this is Doug Bachelor. How about an amazing fact! The lungfish of South Africa is an extraordinary creature with some remarkable abilities. While the lungfish has gills like any other fish, it can also breathe air through its mouth, where it's processed by a modified swim bladder that works like a lung. When the water levels are high this is not so important but during the dry season, when ponds and rivers begin to dry up, most fish are left desperately flapping near the surface in shallow pools. Only the air-gulping lungfish is able to survive the extreme conditions. But as the sun continues to dry up the last muddy puddles of water, even the lung fish would bake in sun without its other amazing ability. To avoid being cooked by the heat or eaten by predators, the lungfish digs down into the mud. It does this by squirming down into the muck like a tunnel-drilling machine. As it goes down it swallows the mud with its mouth and pushes it out with its gills. After digging deep below the warm surface, the lung fish curls up and begins to exude a clear mucus all around its body. This will soon dry and harden into a leathery, waterproof cocoon, leaving only a small breathing hole by its mouth. Baked into this mud tomb, the lungfish will slow it metabolism about 100 1/60 of its normal rate and estivate. This is another word for a type of summer hibernation. The lung fish can survive in this condition for up to 4 years or until it rains again. If you dig up one of these hibernating lungfish they appear to be just a piece of hardened mud. This has led to some bizarre experiences for the tribal people. More than once, African natives have built brick huts from mud found in river bottoms. Then when it rains, the walls are moistened by water. The hidden lungfish come back to life. Children are not quite sure quite what to think when they see wiggling, slimy fish erupting from the walls of their home. Of course, this would not be the first time that someone believed that rocks could be transformed into living creatures. Stay with us friends. We're going to learn more as Amazing Facts brings you this edition of "Bible Answers Live." Pastor Doug Batchelor: Welcome listening friends to a fresh installment of "Bible Answers Live." We're very thankful that you're calling in. This is a live program. If you have Bible questions, now is the time to pick up your phone and call in your questions and you've got a very good chance of getting your Bible question on tonight's broadcast. That number one more time is 800 GOD-SAYS, 800-463-7297. I realize with the 4th of July weekend we've got a lot of people probably out on the road traveling back to their homes and you may want to pick up your cell phone if you got a Bible question and you're buzzing down the highway--keep your eyes on the road--but if you've got a Bible question you've been wondering about call 800-463-7297. Well, friends, I was very intrigued by the Amazing Fact regarding the lungfish and I have to admit I saw a video clip on Animal Channel of these lungfish that were basically coming to life and jumping out of the brick walls of these huts in Africa because they had been in this cyst of hibernation--who knows how long--they can last up to four years and then they got moist, they kind of wake up, they come back to life and they squirm out of the walls looking for the nearest puddle of water. You know, it's not surprising that a number of years ago people believed in evolution because the microscopes were so very primitive that a single cell of life--it looked like something that might happen by accident--and before Louis Pasteur proved otherwise, people were believing in something called spontaneous generation--that you could put a piece of meat on the table in a few days worms were crawling out of it and it looked like the worms had just evolved from the meat. Well, they later found out, of course, flies were landing on the meat and laying eggs and that's where the worms came from. They really didn't know that back then. That Louis Pasteur, he puts some of the meat in a jar, sealed it, and of course there were no flies and there were no worms. In the same way when these kids saw these lungfish crawling out of the walls, they might be led to believe "Look at that. Bricks can turn into fish" and you and I know that's absurd but that's really what evolution teaches 'cause if you trace everything back far enough, its teaching that life comes from non-life and there is no example anywhere in the modern science world where they have demonstrated that even the simplest form of life can come from non-life. You know, there's a free book--if you've got questions about this--we'd be happy to send anybody. It's written by Joe Crews, the founder of Amazing Facts, and it's called How Evolution Flunked the Science Test, How Evolution Flunked the Science Test. We also have other information that you can read about the subject of creation and evolution by going to the Amazing Facts website and that address is AmazingFacts.org. You know there's a special message that is to go to the world in the last days and you find this in Revelation chapter 14. In Revelation 14 it talks about Christ coming in the clouds. Just before Christ comes in the clouds, in verse 6, it says "I saw another angel fly in the midst of heaven, having the everlasting gospel to preach to them that dwell on the Earth. 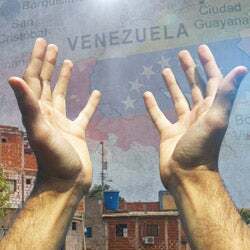 To every nation kindred tongue and people, saying with a loud voice fear God and give glory to Him, for the hour of his judgment has and worship him that created the heaven and the Earth and the sea and the fountains of waters." In the last day, God is calling people back to trust and believe that he is the creator, that we did not have happened spontaneously over millions of years or by accident, but that he spoke and he created things. 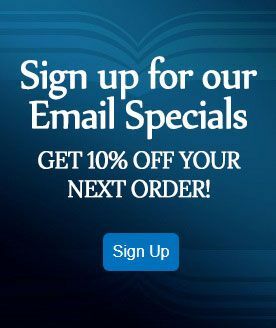 And again if you would like to create an offer tonight just call the resource number which is 800-835-6747 ask for the book How Evolution Flunked the Science Test; we will be happy to send that to you. Once again if you have a Bible question and you want to call the studio and that takes you here. That number is 800-GOD-SAYS. That is an acronym for 800-463-7297 and without further ado we're going to go to the phones and talk first with David, whose listening right here in Sacramento on KFIA. Welcome, David, you were on the air. David: Hi Pastor Doug, how are you doing today? Pastor Doug Batchelor: Very well. How can we help tonight? David: I was wondering…I went to the funeral on Friday. The guy had hung himself and I heard that if you go before your time you will be a wandering spirit. Now is that true or do you go straight to heaven? Pastor Doug Batchelor: Well, the Bible doesn't say anything about a person being a wandering spirit. There is a lesson that we'll be happy to send you a free copy of and it basically says "Are the dead really dead." When a person dies, whether saved or lost, they are waiting for the resurrection. The resurrection happens when Jesus comes. You can read about that in First Thessalonians chapter 4. It says "the Lord himself will descend from heaven and the dead in Christ will rise." "When the Lord descends with a shout the dead in Christ"--that's the believers—"they arise." Christ also tells us there's another separate resurrection of what they call damnation, or the resurrection of the lost. That happens at the end of the one thousand years or the millennium. You read about that in Revelations chapter 20 verse 5 and I believe it says there that the rest of the dead—all the righteous--all the dead in Christ rise first--the rest of the dead do not live again until a thousand years are finished. And so that's Revelation 20 verse 5. We've got a lesson we can send you on this, David, absolutely free. Would like us to send you a copy? Pastor Doug Batchelor: All you got to do is make one more for free phone call so they can just get your address; nobody will bother you. It gives all the scriptures with beautiful illustrations on this subject called Are the Dead Really Dead?. You tell them "I'd like your free lesson on death and they'll know what that means. David: So he went to heaven-straight to heaven? Pastor Doug Batchelor: No it's what I'm saying. When a person dies, they sleep until the resurrection. When Jesus went and resurrected Lazarus, he said our Lazarus is asleep. Now this is one area where there's so much confusion among Christians we read the verse in the Bible that says "to be absent from the body to be present with the Lord" and people naturally think well that means as soon as you die your person with the Lord. No, that simply means when you die, and you're sleeping, resting, you have no consciousness of time. The next thing you're aware of is the resurrection. So, if you should die and you're saved, the next thing that you'd know is being caught up to meet the Lord. So for you it could seem like five seconds. See what I'm saying? The resurrection is in the future. It hasn't happened yet. We go to heaven together. r There's a grand resurrection when Jesus comes back and that's the" dead in Christ" First, at the end of the one thousand years, the rest of the dead live. You'd really appreciate the lesson on death because it also very. . .
David: Are they really dead? Is that what it's called? Pastor Doug Batchelor: Excuse me? David: Are the dead really dead? Is that what it's called? Pastor Doug Batchelor: Yeah, the dead are sleeping. If you read in Ecclesiastes chapter 9 it says there in verse 5 "the living know they'll die, but the dead known not anything." They're sleeping a dreamless sleep until the resurrection but it doesn't seem like years for them it--it's instant for them--because they have--it's not like when you sleep a restless night and you know--you ever gone to sleeping are really tired and all of a sudden you know the alarm is ringing and 6 hours have gone by. Well that's what it's gonna be like; they're gonna say "what happened?" But God doesn't take people to heaven one by one before the judgment—you know the judgment's in the future. Why would he put a person in hell before they're even judged? So the lake of fire for the wicked and heaven for the righteous--all the rewards are given in the future--but there's no sense of time for those who die. For them it seems instant. Does that make sense? David: Ok, well, he was a saved person. I'm not gonna take up a time. I just wanted to know. Pastor Doug Batchelor: Well, that's a good question and please do ask for the free offer Are the Dead Really Dead. Anyone out there, if you'd like more information on this we'll send it to you. 800-835-6747. By the way listening friends, if you want those answers right now and you can get on the Internet, there is a web site called "Truth about Death," TruthaboutDeath.com and all these Bible scriptures explain when the resurrection is--the Bible says it, it's not my ideas or my teaching--when the resurrection is, what is the state of man when he dies, what is he conscious of, what is he not conscious of, is there a limbo, is there a purgatory? So much confusion and really, you know, we need to understand this because some people are Christians and they're talking to ghosts and they think these are deceased saved people. They're probably devils impersonating these saved people, so you've got a really understand the subject. All right friends that frees up another line. Again 800-GOD-SAYS, 800-463-7297 with your Bible and we're gonna talk to Sharon who's calling from—now you're gonna have to help me with the name of your town –Mahena Spring, West Virginia? Pastor Doug Batchelor: Minnehaha. Oh, you know, I've heard of that before. Kind of makes you chuckle every time you say it. And your question tonight? Sharon: My question is: I know when we die our spirit which is our breath returns to God. Right before Jesus died on the cross he said "father into the hands I commend my spirit." Jesus, being God, commended his breath to the Father but he said he had the power to lay down his life and the power to take it up again. Did he have to get his breath back from the Father before he could raise himself from the dead? I know this is just an opinion. . .
Pastor Doug Batchelor: Well I don't know what happened to. . .hello?. . .you cut off for a second. . . I think I heard most of your question though. When Christ died and he said "father, into your hands I commend my spirit," I don't think the focus of the statement was where did this breath of life go and did God give it back so Jesus could raise himself up. I think that Christ--the breath of life--was really the essence of life that Jesus was just saying--they're going into a--his spirit was being commended into the hands of God. He was just trusting the Lord with his Spirit because, you know, he begins his time on the cross by saying "my god my god, why have you forsaken me?" His closing statement is "it is finished; into your hands I commend my spirit." It's a statement of faith. In other words, I am trusting my life into your hands. When Stephen died--you know the first martyr was the deacon, Stephen—in Acts chapter 7—when he was stoned to death he said "Lord Jesus received my spirit" and so basically they were trusting their lives into God's hands. Christ was telling us all have to die by his example. We should all commend our spirits into the hands of the father when that time comes. When the resurrection came for Christ one of the great mysteries, I'll confess that I'm not totally sure about, is the dynamics of how Jesus rose himself. An angel was there roll away the stone. The father was obviously involved. How Christ could lay his life down and raise it up? I've got a theory but now I'm not speaking by the Bible, I'm just kinda sharing my understanding-, and that is that Christ spoke that he would rise after 3rd day and there is so much power in the word that the power of his word rose him up--'cause his word cannot fail. See, everything God made in the beginning, he spoke and it happened, right? And so when he lay his life down he came back--that did it. Alright well I hope that helps a little bit---having some phone challenges here. Alright Jonathan, you're on the air with Bible Answer Live and calling from WNUZ. You there Jonathan? Jonathan: Yeah. Thank you for the lungfish information. I learned something and my question is: When Moses took the people through the wilderness and they didn't enter the promised land, is it possible--it says that we are as grasshoppers unto them and there were giants so--Goliath was 9-foot-tall and I'm 6-foot, so I'm not a grasshopper compared him. Could it have been the giants in the Promised Land were dinosaurs? Pastor Doug Batchelor: Well, no because its names them. It says the children of were there and we were as--the were a race of people that were very tall and evidently some of them survived and intermarried with the Philistines--and Goliath was related to them. There were some people back then that I guess we're pretty big. Goliath was I think 9-feet 6-inches if you go by the Hebrew cubit, which even by today's standards would--I think the tallest man--I did an Amazing Fact a few years ago--I think it's Robert Waldow, and he was like nearly 8-feet tall and Goliath was still a foot-and-a-half taller than him. So, we see some pretty big basketball players coming out of the NBA but none of them are 9-foot-6. They could dunk it with their foot, that's all. So, no I don't think--dinosaurs did, I believe, exist. Most of them were destroyed by the flood based on the fossil record. So I don't think the giants they saw were at dinosaurs, I think they were actually men; the children of Anach with there and. . . .
Jonathan: Okay, thank you very much. Pastor Doug Batchelor: All right. Appreciate that. That will free up another line. We're gonna talk next to Jason, who's calling from Walnut Ridge, Arkansas. And your question, Jason? Jason: Yes Sir. I've been curious—I was in conversation the other day with a friend of mine and made a statement that the book of Revelation was written in 95 or 96 AD after John been exiled to the by an emperor, --I guess I'm close in pronouncing it--I was kinda curious is there any way that can be proven? Pastor Doug Batchelor: Well in the first few--if you want to believe John's statement in the first chapter, he says "the revelation that God gave his servant" and I believe he says right in here "I John", in verse 9, "am your brother and companion in tribulation, the kingdom of patience of Jesus was in the isle that was called Patmos, for the word of God", so he was imprisoned on Patmos; it was a Roman prison, they had mines there. So are you questioning when or where? What time was? Jason: Yes. Is there any way to actually prove whether Domitian was sitting there or Nero. . .
Pastor Doug Batchelor: Well, of course, since Revelation is the last book in the Bible, you can't read a book after Revelations that's part of the Bible you have to go to history. And the early church fathers unanimously identified John the Apostle as being the author and say that he was in prison. You can read in Foxe's Book of Martyrs. I believe that origin and number of the other early church fathers. . .
Jason: And I know makes statements to it but none of them make a statement as to when or what year, at least none of them that has been able to read yet, but I was curious if there's one that I could buy or get my hands on that would indicate what year he actually wrote in in because--I do know that he was brought out of exile, or brought back from Patmos back to the city of Ephesus but I don't know what year it actually is that he went there to the island. Pastor Doug Batchelor: No let me tell you where the part of the problem may come. When John went to Patmos, which was around 90 AD, we know when the Roman emperors reigned, we know how the various Roman emperors persecuted the Christians--some were more friendly, some were more cruel—Nero, Domitian, were very cruel to the Christians-- They didn't date by AD BC back then. They dated in the year of this King—for instance, when Jesus was born—it says in the year of Augustus. When he was baptized it was in the 15th year of Tiberius. So they didn't say 98 AD. You won't find that. I'm looking as I'm talking; you'll probably gather I'm reading some things here. I've got a Bible resource that is free, that if you can get on the Internet it's called E-Sword.net and it's free software you can download and a lot good, old commentaries. These are the old church fathers, like Adam O'Clarke and John Gill, Matthew Henry--when you read the introduction notes to Revelation, they do a lot of very thorough scholarly research. They will quote the different fathers, but it would take me several minutes to read all of this to you and that would kind of gobble up a lot of question time. So, check out E-Sword.net and some of the free commentaries they've got of the old church commentators and I think you're going to find good support for that. Hey thanks, Jason. I appreciate your question and we're now going to go to Chris. Chris is calling from Charleston, West Virginia, listening on the Internet. Welcome, you are on the air. Chris: Yeah how are ya doin, Pastor Doug? Pastor Doug Batchelor: Doing very well. How about you? Chris: I'm doing fine. My question kind of pertains to Jesus in the beginning before he came to this Earth. I know in the gospel of John chapter 1 that it starts out "in the beginning was the word and the word was with God and the word was God" and my kind of question is Jesus obviously had to be immortal if he started with God all down through eternity past and then if he was immortal then, then he was born of course as a baby into this Earth. My question was--which I'm just having a little trouble with this--if he did that then how would he die if he was immortal and then he died on the cross, of course, and I just can't get that around my head if you get where I'm coming from? Pastor Doug Batchelor: Yeah I do and you know what I can't get it either. If you look in the New Testament Paul talks about a mystery. He mentioned a mystery probably several times in Ephesus—Ephesus, the book of the Ephesians. One of the great mysteries of the gospel is how God--the incarnation--how God could come into flesh and be a man. To what extent to Jesus lay aside his divinity for humanity. Was he--well I believe he was--100% human, and yet 100% God. How could he do that? It's a mystery. So, did he die? Well the bible says, Christ said, "I will die." I mean those are his words. We can say well, he really didn't mean that. The disciples said he died, that he was crucified and killed. I mean, every word we know an English to describe how a person dies, they used to apply to what happened to Jesus. They don't say he "sort of" died or he went through some transmigration. Chris: Really, one another verse I was kind of looking at where it says in, Hebrews chapter 2 verse 9, it says there "we see Jesus who was made a little lower than the angels for the suffering of death." I don't want to be too complex here but I guess it's more in depth but if it said he was "created" does that imply that God the father created him or does it just talk about. . .
Pastor Doug Batchelor: Now it's talking about when he came to Earth, he was made a little lower than the angels. See, Hebrews--Paul is quoting in Psalms where it says "man is made a little lower than the angels." So it says that "man is made a little lower than the angels"--Christ became a man—so it says in Hebrews chapter 2 verse "Jesus became a man, made a little lower than the angels". He who created the angels. So that's pretty amazing when you think about it. Chris we need to take what they call a "hard break" here, in other words, we gotta do it whether we're ready or not and so, hopefully that answered your question--appreciate your call and--we do have a free offer that we can send you. It's called The High Cost of the Cross. It talks about the incarnation. If you call 800-835-6747, we'll send you a free copy of that. The High Cost of the Cross, 800-835-6747. Also listening friends we wish this program it all week alone, but in one hour we try to whet your appetite so you'll go to the website and continue studying these biblical truths. And that website once again is simply AmazingFacts.org. AmazingFacts.org. We've got a free library and lot of good study resources. More questions to come. Pastor Doug Batchelor: Welcome back, listening friends, and for those who may have joined us somewhere en route, this is Bible Answers Live. It's a live international interactive Bible study and we're very thankful that you are joining us. My name is Doug Batchelor. Pastor John Ross is traveling and speaking this weekend and we're gonna go back to the telephones straightaway here. So I will talk with Rick, who is calling from Fresno, California listening on KARM. Welcome Rick, you're on the air. Pastor Doug Batchelor: Hi, how are you? Rick: Thank you for answering my question. It's been a pleasure to listen to you on the radio over the years. By the way I just make a challenge to the other businessmen. You have a great selection of material and you're Amazing Facts magazine and catalog. I encouraged other businessmen to buy it like I have and make it available to their customers. Pastor Doug Batchelor: Well thank you very much. Appreciate that. Rick: My question is regarding heaven and in Matthew 6, Jesus is telling his disciples how they should pray and it says "thou will be done on Earth as it is in heaven" as far as the prayer and in Matthew 18:18 he talks about "truly I say unto you whatever you shall bind on Earth shall be bound in heaven, whatever you loose on Earth shall be loosed in heaven" and I'm kind of confused as the fact that what would we to, on this Earth, bind something and then it would be bound in heaven and what would we loose our Earth here and it would be loosed in heaven? Pastor Doug Batchelor: Well bind and loose of course are opposites-loose being release, let go, bind being held, and you know in the Greek there may be little variations of how you define the word but he's basically saying that some things are saved some things are lost some things are held some things are released Christ, I think, is really emphasizing that in the earlier part of this chapter, he's talking about decisions made in this life to forgive others, to forsake sin, to share the gospel, to forgive people who may have offended you, to save the lost--in other words, Matthew 18:12. What do you think? If a man has a 100 sheep and one of them goes astray, he'll leave the 99 and go into the mountains and seek that one lost. Then you go to verse 18; he says "whatever you bind on Earth"--whatever you save on Earth--"will be saved for eternity." What you neglect to save on Earth, "what you loose on Earth will be lost in heaven". And so he's emphasizing decisions made in this world to follow his counsel or not follow his counsel will play out eternally. . .
Pastor Doug Batchelor: . . . and some have determined this to mean that we get to decide who's saved and who's lost. Indirectly we do in that we have the keys of truth, so as we share truth with people, God then is able to set them free but we are, he said "the harvest is great, the labors are few." He engages us to labor with him. Does that make sense? Rick: Yes, it does. Thank you. Pastor Doug Batchelor: I appreciate your call, Rick. Keep telling your friends about the Amazing Facts catalog and website. Appreciate that. I'm gonna talk next to—I hope I say this right--Thomasania, who is listening from New York, New York? Did I say your name right? Pastor Doug Batchelor: I'm sorry. Thomasina: It's okay. God bless you and good evening. I just wanted to know, just get your opinion rather--as far as speaking in tongues, do you believe it should be taught or should a person believe it's a gift from God, because personally I think it's a gift from God. Pastor Doug Batchelor: Okay, first, to answer this correctly, I need to begin with a definition. There are two kinds of speaking in tongues spoken of in the Bible. There's the natural ability to learn another language. The word "tongue" in the Bible simply means "language." It's used all through the Bible as "different tongues" or to preach the gospel to every "tongue and people." It's all languages. So, you're speaking about the supernatural gift of tongues, which is the ability to speak the gospel in other languages that you may have never known or studied before. Now that is a little different than what's commonly happening in many churches. If you look in the book of Acts, first of all Mark 16, Jesus said "you will speak in other tongues". Then you find the fulfillment of Christ's prophesy in Acts chapter 2 in this Jewish holiday called Pentecost; devout Jews that had been living all different places in the Roman Empire--some lived in Italy, some lived in Greece, some lived in Spain--they all came to Jerusalem for Pentecost. The Holy Spirit poured out on the Apostles and they now are given the supernatural ability to speak the gospel in the languages of these visiting Jews. Right? Because the Jews actually say "how is it that we hear these men speaking wonderful works of God in our tongues wherein we were born." So these are languages of the Roman Empire where they were all born and now that the Apostles who only spoke Hebrew, Aramaic, a little bit of Greek, are preaching in all these different languages and it lists 16 different languages there. So then you've got three different examples of speaking in tongues in Acts: Acts chapter 2, Acts chapter 10 and Acts chapter 19. In all three cases, they're speaking in languages of the world but they supernaturally get the ability to speak, so, should it be taught? There's no "example" in the Bible of teaching the supernatural gift. I might go to school and try to learn how to speak Russian, you know, I've been to Russia and China and India, and whenever I go to another country I try to learn some words their languages so I can say something. Well, I'm learning a natural tongue. I don't think there's a book you can really open up to "learn" if God has given you the supernatural gift. Thomasina: A lot of churches I see that they try to teach their members to give them that heavenly, spiritually, you know, talk, not other languages of the world. . .
Pastor Doug Batchelor: Let me ask you a question, if you don't mind. Can you find a place in the Bible where anybody prays in tongues? Thomasina: Not really, but I really haven't studied the Bible the way I should have. Pastor Doug Batchelor: Yeah, well, and it was sort of a rhetorical question. There's no example of anybody praying in tongues. Paul says that--now when I'm talking about it I say "an example of someone doing it." Paul says that if you're going to pray in tongues, in 1 Corinthians 14, make sure that there's a translator. But you don't see an example of anyone doing it. So, I don't see where God is encouraging us to pray in a language that others around us don't understand. Paul says that "I'd rather speak"—and this is 1 Corinthians 14—"I'd rather speak five words with my understanding that I might instruct others, then ten thousand in an unknown tongue." So there's a lot of confusion; I believe in the gift of tongue because I believe in all the gifts of the spirit, but there's a lot of distortion concerning that gift. I have a free book that I wrote on this study. I did a study on this years ago--wrote a lesson, wrote a book and I'll send you a copy if you like it. You know it's kind of tough to tell the author "I don't want your book", so I appreciate you taking it. Tell you what; just call this number, its 800-835-6747. It's called Understanding Tongues. I'll send you a copy. Hey, thanks a lot, Thomasina. Thomasina: Thank you very much. Pastor Doug Batchelor: God bless you. Then we're going to be going to Lynn is calling from Eunica, Michigan listening on WMUZ. Welcome Lynn. Pastor Doug Batchelor: Hi, and your question. Lynn: My question is God really real? Pastor Doug Batchelor: Is God really real? How do you know anything is real? If I were to tell you the sky is blue, how do you know that? You experience it with your senses, right? Pastor Doug Batchelor: You can look at it and you can say "I can trust my eyes have not failed me-it's real." If I were to tell you that music is real, how do you know that? Well, you hear it. Pastor Doug Batchelor: I can see wind but I don't actually see the air; I see what the wind does. I believe in wind not because I've ever actually seen wind; I see wind stirring up the dust, the wind bending the trees; I don't see the air, but I believe in wind because I see the evidence of what it does. I hear the spirit speaking to my heart. I don't see sound waves. You know what I'm saying? We don't know how, I mean you can't really see sound waves, radio waves going through the air right now, as I speak. You can't see them, but you believe in them, don't you? Because you see the evidence, all around us, we're surrounded by the evidence of God. If you look at an automobile, you know somewhere there's an automobile factory. That automobile did not burp up out of the sand somewhere. When you look at people and the Bible says "God made man in his own image", you've never seen anybody in the world yet that didn't come from somebody else. Isn't that right? You believe that. Well, where did man originally come from? Not from monkeys. I mean God made man; God made this world. There's just so much diversity and interworking systems and complexity that it's so obvious there had to be a loving and intelligent God. Why are flowers beautiful? Why are there all these different color flowers in one meadow? If everything evolved, why aren't they all the same color in the same meadow. But there's such variety--a fragrance, a look--and all these symbiotic relationships between the birds and bees and the trees. There's so much evidence for God and nature. You would enjoy the book that we're offering tonight that's called When Evolution Flunked the Science Test. Would you like a free copy of that? Pastor Doug Batchelor: Just talks about the evidence of God and I'll send that to you for free. All you gotta do is call one more number and they'll take your information and send it to you. Ask them for When Evolution Flunked the Science Test or the free offer on evolution. It's 800-835-6747. Okay Lynn? Pastor Doug Batchelor: God bless. Appreciate your call. Talking next with Nick calling from Tipton, Michigan on WMUZ. Welcome, Nick. You're on the air. Nick: Two questions--well not two questions--two dates I can get your opinion on. The 21st of May, 1988 and the 21st of May 2011. The first one is from the familyradio.com saying that the church age has ended. The second date is that the end time is 2011 and that's the end. The teacher is Camping. I've been listening for six months on open forum. He broadcasts in 14 different countries. Pastor Doug Batchelor: Oh yes, and Family Radio--and I want to be as respectful as I can be--Family Radio has some wonderful programs that I listen to and some of their music is very nice and they've got some great creation programs. They read the Bible on the air. Brother Camping, who I've spoken to before, bless his heart, I think he's probably very sincere, he's the only Bible preacher I know of out there that interprets things the way he does to believe the church age ended, the dates that he gives and that the world's ending in 2011. I'm usually not this specific but it just is confusing a lot of people that listen. He's got a very big network and again, I'm not trying to be unkind to the man, I think he's probably sincere, but I think he's sincerely deluded on his interpretation. Nick: Yeah, he's really mind-boggling the way you send for his books for free. He's got scripture and back up scripture and everyone can prove him wrong by scripture. . .
Pastor Doug Batchelor: It's a jigsaw puzzle. You've got to wear special glasses to understand. Nick: It's like he's teaching all in parables and I just. . .
Pastor Doug Batchelor: Christ said--if you believe the words of Jesus that’s as plain as it could be--he said "no man knows the day or the hour"
Nick: That's it, that's the one that people call and chew him out on. 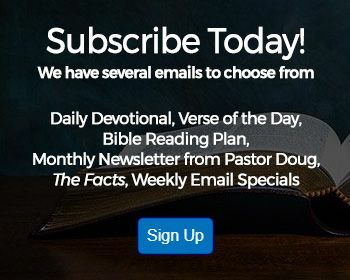 Pastor Doug Batchelor: Christ said "in such as an hour as you think not the son of man comes," "he says as it was in the days of Noah, so will it be in the last day." You know, what most people don't know, Nick, is that this is not the first date he set. If I'm not mistaken, either in '93 or '96, he was telling everyone the world was going to end then also, so. . .
Nick: You said he put a question mark on that one. Pastor Doug Batchelor: Oh, well, that sounds like. . .
Nick: The only one at that date you said, naturally nobody knows but the Father, but every time people call in on that particular one he says "that's only for that time." Now the Lord's revealing the time now. . .
Pastor Doug Batchelor: Now wait a second now. I'd like to pause on that answer because if when Jesus said "no man knows the day or the hour," there in Matthew 24, he was only referring to his day. Everything else in the prophesies was talking about the future. 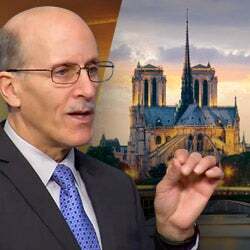 Pastor Doug Batchelor: So why would he say "well, no one today knows the day or the hour" but everything else he says in this discourse is talking about what's gonna happen in the future? He's addressing people down through time. Nick: He's talking about everybody on the church age ending, to just read Revelation 2 and 3, because that's when all the churches closed down. Pastor Doug Batchelor: You know, Christ compares his coming to the days of Noah and the days of Lot. Noah did not know the date when the flood would begin. He just told--God just told him when to shut the door and he waited inside for seven more days. Lot did not know the day when the fire was coming down. The morning he left, that day the fire came. Christ said his coming will be that way. We need to be ready and so, you know, this idea that God's going to tell the church years in advance--you know my question would be "what's the purpose of that." Nick: He's warning everybody to get ready. Pastor Doug Batchelor: Well, Christ warned us 2000 year ago he's coming, and we know that our lives--you know, we might live seventy years. Everyone knows they're terminal. Nick: Now we've only got 23 months to go. So he's "hurry, hurry". . .
Pastor Doug Batchelor: Some might have less than that. Nick: Yeah, I know it. Pastor Doug Batchelor: So what would you do differently? We should be living for Christ every day. These people act like the second coming is filing your tax returns at the last minute. They're heart's not right. Nick: Nobody is saved from the churches. The church had nothing to do with people getting saved and that they were all the elect. . .
Pastor Doug Batchelor: Yeah and he also says that all the organized churches are fallen and--well, I don't want to go down that road any further. Nick: Is there anything you can send me on it, on your opinion on that, to refresh my memory? 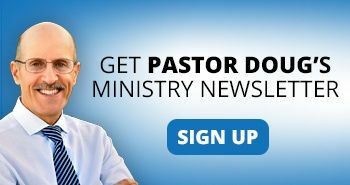 Pastor Doug Batchelor: I do.We have a study guide that deals specifically with the second coming that is very helpful. Let me just find the title for you. It's called Rescue from Above. Pastor Doug Batchelor: Rescue from Above. No, no, sorry. I've given you the wrong lesson title. This one is called The Ultimate Deliverance. It's a beautiful illustrated lesson full of Bible scripture on the second coming and we'll send you a free copy of that. Rescue from Above is on salvation. Pastor Doug Batchelor: All right, God bless. Appreciate your question, Nick. Talking now to Marie, whose calling from Oak Grove, California, listening on the internet. Welcome Marie, you're on the air with Bible Answers Live. Marie: Thank you very much. I have a real quick question. I know that the scriptures say that God never does anything major without telling it, talking to his prophets. Do you believe as we move closer to that day, that there will come even one or a few more prophets as we get closer? Pastor Doug Batchelor: Well, God says in Joel chapter 2, "It'll come to pass in the last days, I'll pour out my spirit on all flesh and your sons and your daughters will prophecy." So, there's a very clear chapter that if God inspires people whenever he's done anything significant through history--such as before the Exodus he had Moses and Aaron and Miriam and before the carrying into Babylonian captivity he had Isaiah and Jeremiah, and whenever God's doing anything significant--before Christ came he had John the Baptist and the in the temple and others--he sends the spirit and the gift of prophesy. The greatest climax of the plan of salvation is the second coming of Jesus. You would think he would once again inspire people with that gift of prophecy. Marie: Okay, how would a person know if they have the gift of prophecy and how would they go about--you don't just walk into a church and speak up? Pastor Doug Batchelor: You know, I'm glad you asked. I have a lesson that specifically goes through Bible guidelines on how a person knows if they have or if anyone else has the gift of prophecy. Would you like a free copy of that? Pastor Doug Batchelor: It's called Does God inspire Astrologers and Psychics and don't be confused by the title. It takes part of the lesson--talks about false prophets. And then it says now, how do you find true prophets and what are the Biblical criteria--I think this is by the dozen that are given--and if you call that number 800-835-6747 ask for the lesson on prophets and we'll know what that means. All right? Marie: All right, thank you. Pastor Doug Batchelor: Appreciate that Marie. God bless you. And we're gonna talk next to Dallas, Texas and talking with Sam, whose calling on the internet. Sam, you're on the air. Sam: Good evening Pastor Doug. Pastor Doug Batchelor: Evening, and your question tonight? Sam: Yes, my question is Genesis 3:1 where the serpent was talking to deceive Eve. I have problem with that. Did the serpent have a choice? We know that it was the Devils taken through the serpent to deceive and then the serpent he receive a terrible punishment that he has to crawling on his belly. Now, my question there is that did he have a choice to refuse the Devil, not to use it? Pastor Doug Batchelor: That's a good question. You know I learn from you folks every week. I don't think I've ever had that question before. Did the snake have a choice? I don't think so. And keep in mind that the curse that God pronounced on the serpent was not--it was not really on any one snake--it was a whole species that was gonna be modified by that. So, no, I don't think the serpent did had a choice. I think that the Devil just came through and took possession of him. I've got a lesson that deals with the subject of the serpent and it's called The Sign of the Serpent. Matter of fact, you can read it for free by going on internet by just going to AmazingFacts.org. The whole lesson talks about "Why did God do this with the serpent?," "What did Jesus mean was the sign of the serpent that Moses lifted up on the pole," and we'll send you a free copy of that, Sam, if you'll just call, or just go to AmazingFacts.org and you can type in Sign of the Serpent. You can read that there. Gonna talk with Ed whose been waiting patiently. Ed, you're on the air with Bible Answers Live, listening on WNCA. Ed: Thank you very much and good evening. I have a quick one for your. 1 Corinthians 15:39 seems to say that evolution is not possible in God's eyes. If you could just read that. Pastor Doug Batchelor: 1 Corinthians 15 verse 39? Ed: Yeah, it says "all flesh is not the same flesh." Pastor Doug Batchelor: That's right. There's one kind of flesh for men, another for animals, another for fish and another for birds. There's also heavenly bodies and earthly bodies. That is a good verse. God said he made every species after its kind and you can cross different cats together, you can cross a lion and a tiger--they've done it--and you get a "liger" and you can cross a zebra and a donkey and you get a "zonkey." It's true. Ed: And you also get a mule from a horse and a donkey but they can't produce offspring. Pastor Doug Batchelor: That's right. Many of these hybrids cannot reproduce. They have even crossed a dolphin and a whale and they got a "wolphin" but they're all the same kind, they're all in the same species category. But, you cannot cross a dog and a cat. It's doesn't matter how many laboratories they've got, they just can't make a "cog." You can't mix the two of them. So, that's what God said, "Each one after its kind." Ed: Yes, I think that's the strongest argument against evolution, which I don’t' believe anyway, you know, and although I think that certain disciplines they try to anthropomorphize animals to make them seem like men--and that's good for cartoons and things like that--but when they do that, it's sort of like AIDS, this evolutionary theory which I believe is foolhardy and its fooled a lot of important people--I think Darwin, I think it fooled. . .
Pastor Doug Batchelor: Yeah, well you know, I’m quite sure that if Darwin was alive today he would renounce his theory of evolution because if he could look through a modern microscope and see how complex a single cell of life is, he'd realize how absurd it is to believe that all happened by accident. But, yeah, I appreciate your call Ed, for calling with that question. We'll send you a free copy of our book tonight How Evolution Flunked the Science Test. All you gotta do is call in and ask for it. I'm gonna try one more. Mary's been waiting the longest. We're gonna talk to Mary from Amarillo, Texas. Mary, we've got about a minute-and-a-half. Can we do a quick question? Mary: yes, I need to help to deal with difficult neighbor. They don't leave me alone. I need resource in getting help-Bible help. I use my Bible a lot to comfort me, to deal with them, but I've been living here for four years and it doesn't go away. I ignore 'em. Pastor Doug Batchelor: So, are you on speaking terms? Mary: I helped them a lot when I first moved here butthey just don't. . .
Pastor Doug Batchelor: Are you on speaking terms with your neighbors? Mary: No. Because they just want "gimme, gimme, gimme" and he's come in my house--I've changed the locks and he still comes in my house. Pastor Doug Batchelor: Oh, yeah, that's pretty serious. You don't need to let people trample on you. You know, the best thing I could do is offer you is the advice in the Bible where Paul says "overcome evil with good." You be as kind as you can be and as gracious as you can be, but if people are hurting themselves by taking advantage of you--and some people, if you let them just take advantage of you, you're not helping them--you're encouraging bad behavior and so you need to know where to draw the line and yet be as kind as you can be and you may not even be able to reach them. Through this whole ordeal, God may be also softening your heart and just teaching you patience. Sometimes the Lord teaches love by putting us next door to unlovable people, and you know, this is one of the greatest signs of God's love for us is while we were yet sinners, Christ died for us. He loves us, even during the times when we're not very lovable. I want to thank you for your question, Mary. I apologize we couldn't take more time. It sounds like you're really having a challenge and we'll keep you in our prayers. You would enjoy going and signing up for the Amazing Facts Bible study. Anybody that would like to know about that, if you'll simply go to bibleuniverse.com, you'll see there are a series of Bible study resources there. They're not only in English, they're in Spanish, they're in French, they're in a number of languages and we even have an advanced study course there if you'd like to be an Apostle of Prophecy. You go to the bibleuniverse.com website and sign up, take that Storacles of Prophecy bible course, you'll really understand more about the times in which we're living. Time's up. Go to our website, contact us, tell us if the program's been a blessing to you. Until next week, God bless, remember Jesus is the truth.